From Jiri 16 days to Basecamp, from Lukla 9 days. 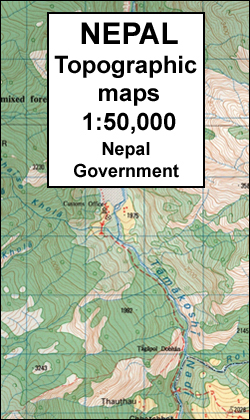 Nepal is home to the highest mountain in the world, which sits right on the border with Tibet. 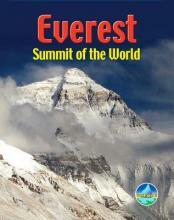 Mount Everest, associated with ever so many famous names and stories, is within easy reach of the ordinary hiker. Not the 8840 m high summit, of course. But at 3500 m lower down, at the foot of the mountain, is Everest Base-camp, achievable for any backpacker with a down-filled jacket and a strong constitution. 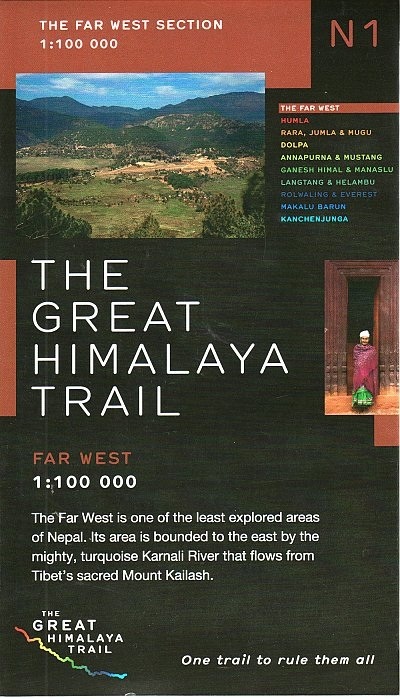 Giving this trail in Khumbu region extra cachet, is the feeling of walking in the footsteps of the renowned pioneers who mapped this area and finally conquered Everest. And it was no hit and run for these adventurers. 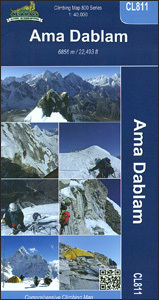 The first climbers and their company of porters started out from Dharan, and later from Jiri. 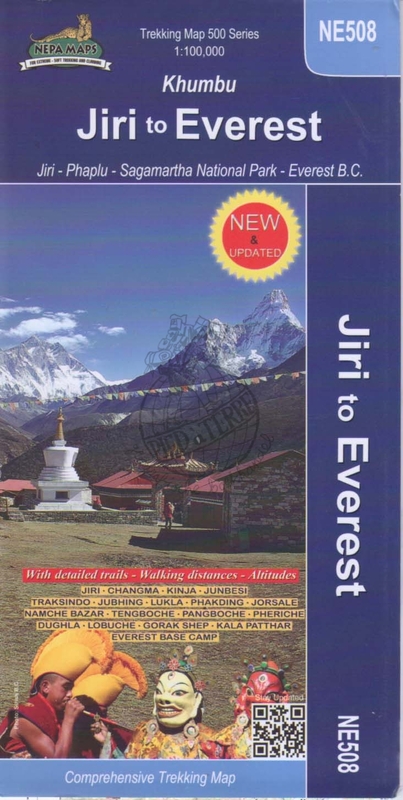 Even today, Jiri is a starting point of the Everest Basecamp Trek, although it is not the easiest place to start. The hike from Jiri to Lukla means climbing up and down a lot. Definitely excellent to test your fit-ness. Many hikers these days choose to fly to Lukla, shortening the trek by a week. Lukla airport is not exactly spacious. If the weather is bad, there is no flight and you may have to wait for a day or more. From Lukla it takes one day to walk to Namche Bazaar, and an-other seven days to reach the viewpoint summits of Kala Patar. From its low (5545 m) or the high (5623 m) summit you will enjoy spectacular views of Mount Everest, the nearby Nuptse, Lhotse, and the splendid double dome of Ama Dablam. 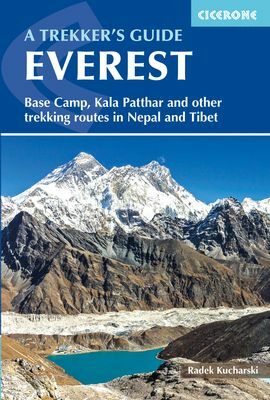 Another day's hike will take you to Everest Basecamp at 5300 m, Khumbu Icefall and the towering massif behind (but Everest itself is out of sight). 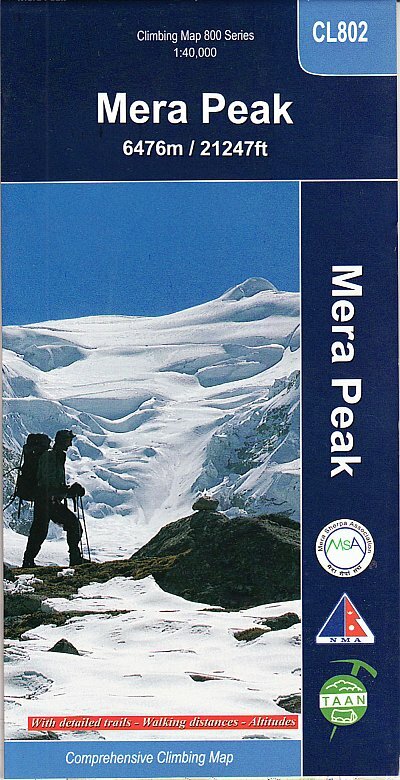 Thanks to a huge choice of lodges all along the trail, this classic trek poses no difficulties for the strong and experienced hiker. Most risky are the altitude and the change of diet. 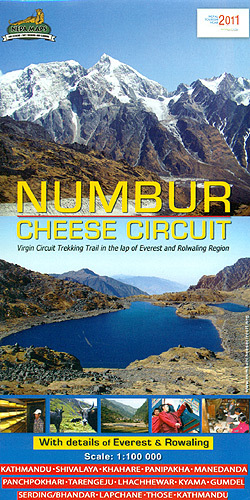 Please keep in mind this trek is very popular, just like the Annapurna Circuit. October, but also April and September are busiest. During the monsoon (June, July, August) hikers are few, but views are limited. Winter months are quiet, but dreadfully cold. Spring is beautiful, but along with rising temperatures, humidity gradually builds up to culminate during monsoon. Times are changing. 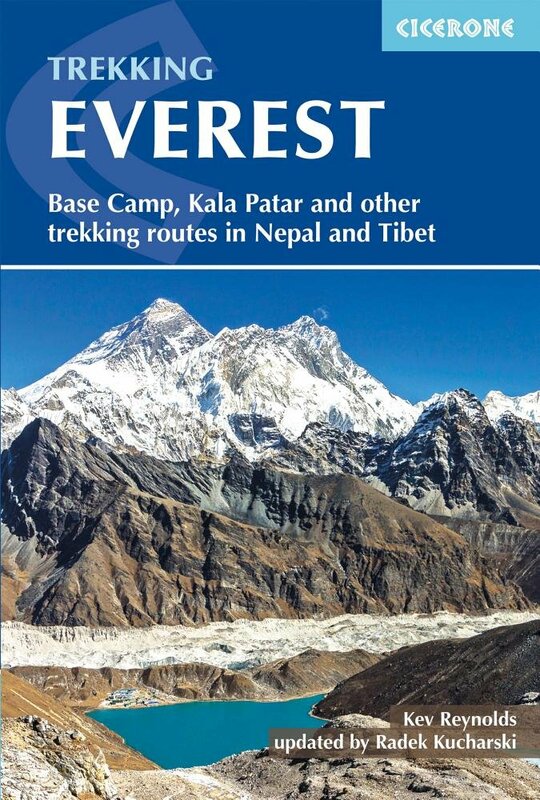 Meanwhile the Chinese on the other side of the border have their own Everest Basecamp at the foot of the Everest. The good news: you can drive all the way up there in your 4WD, so no need to walk anymore. Short report and a large page with beautiful photographs. 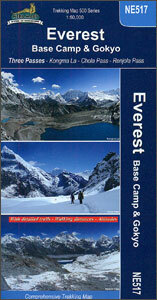 "This site is a celebration of my visit to the Everest region of Nepal in Autumn 1999. 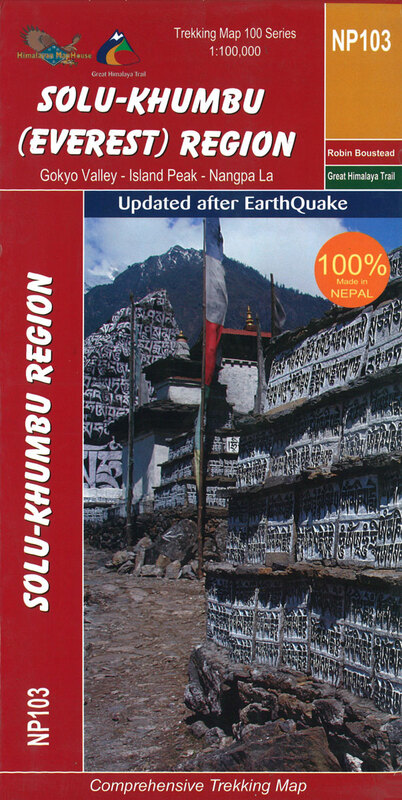 I have included my trek diary and around 250 photographs to show what the Khumbu area is like and maybe tempt you to go and visit the area yourself." This blog has short entries by many; interesting. 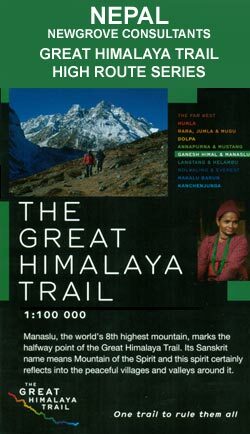 Jolly good time they had: trek from Lukla in 2004, lengthy diary. The story of a two weeks trek through the Khumbu region to Mount Everest. 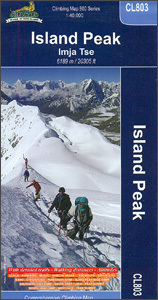 Trip in 2000 to Everest Basecamp and Gyoko valley, starting in the Arun valley. The Trek: Everest part one. Some pretty pictures here. And a story on an icy trek over Nangp La pass. Picture gallery. Maybe you notice the change over so many years. Diary of the trek; fine pictures. Everest - Top of the World. Everest - Top of the World!